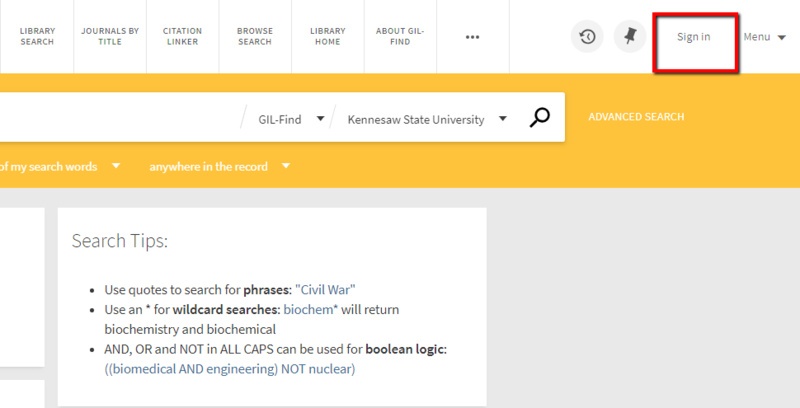 Q: What can you do with your KSU library account? Order a book from another library in the University System of Georgia (GIL Express). You will need your NetID and password to log into your library account (Forgot your NetID?). You no longer need a PIN to log in to your library account. There are two ways to access your library account. 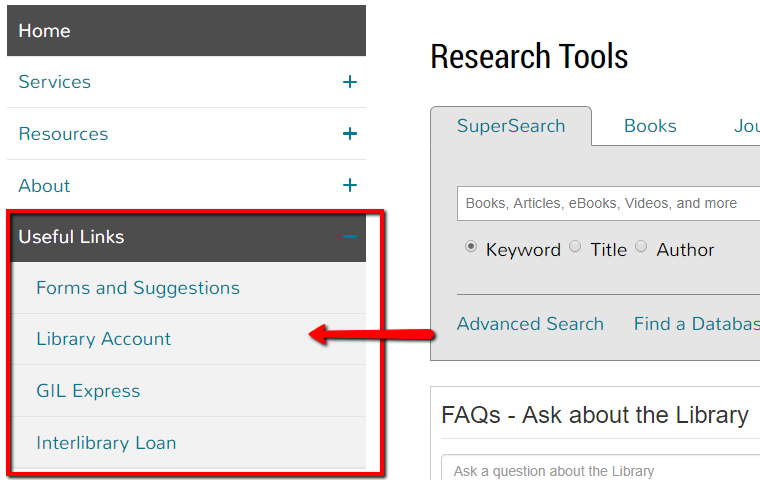 To access your library account from the library homepage, select Useful Links on the left side of the page and then select Library Account. Select "KSU Students & Faculty" from the menu that pops up. 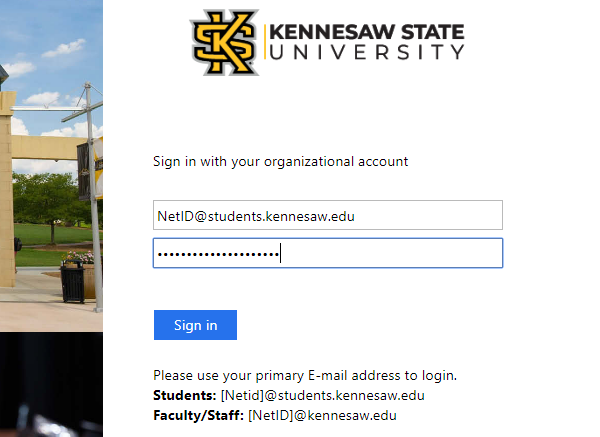 Enter your KSU email address and password as you would to log into your KSU email account. You can also access your library account from within the catalog itself. On the catalog page, select the "Sign in" link at the very top right. 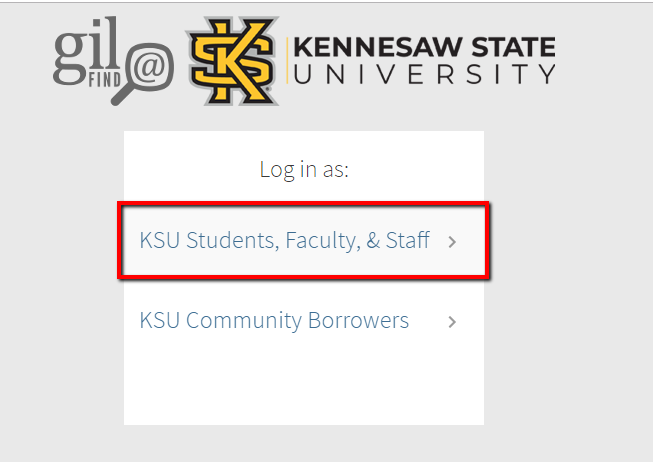 Click here for information on how to access a KSU Community Borrower account.